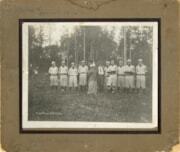 1 photograph: b & w; 17 x 12cm. 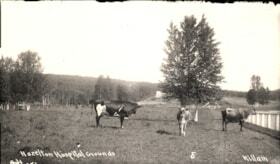 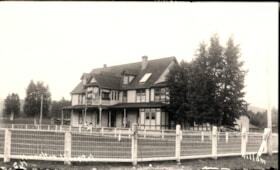 Photograph came from page 5 of Smithers Scrapbook. 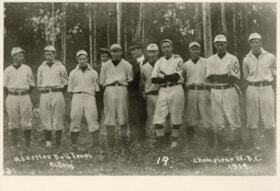 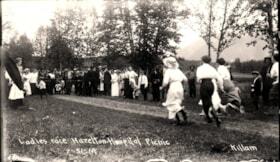 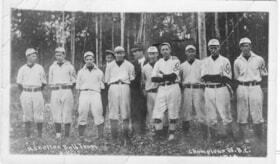 The Hazelton Baseball Team was the Northern British Columbia champions in 1914. 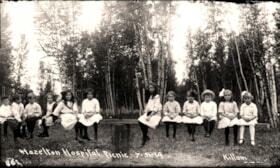 Twelve unidentified children sitting on a bench while at the Hazelton Hospital picnic. 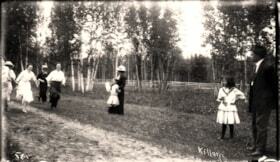 Title based on description on frontside of photograph. 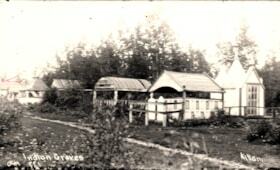 1 postcard: b & w; 14 x 9cm. Written on back " Mr. John McCormick - Mg, centre. 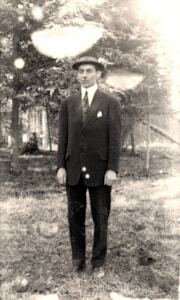 - Umpire with cap." 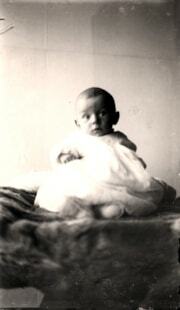 Angus Jr. McLean was the son of Dr. Angus McLean (Hazelton Hospital), and Annie Jane McLean (nee Moore). 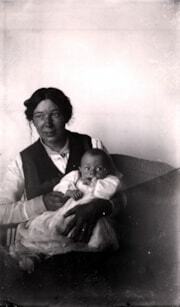 Portrait of Annie McLean (nee Moore) with son, Angus Jr.
Annie Jane Moore was married to Dr. Angus McLean who worked at the Hazelton Hospital alongside Dr. Horace C. Wrinch. 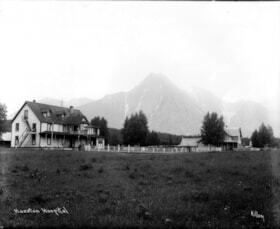 Item is the book "Smithers: From Swamp to Village" written by R. Lynn Shervill in 1981 for the 60th Anniversary Project for the Town of Smithers. 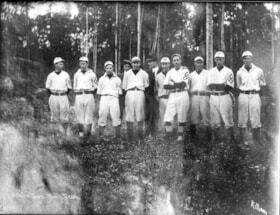 Three photographs do not appear in the digital copy of this item due to copyright.